Episcopal Relief & Development would like to extend a great big THANK YOU to everyone that supported our recent campaign to help children thrive. We are delighted to report that we surpassed our $250K goal—enabling us to reach so many more of the world's most vulnerable children. In this blog, Vice President of Advancement, Betsy Deisroth, shares why we are driven to make a difference in this critical area. 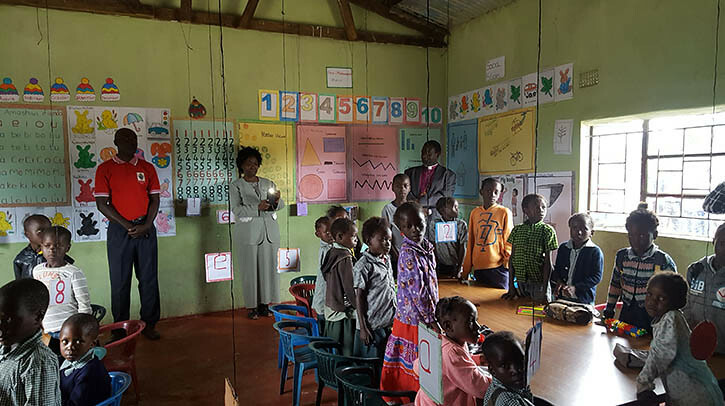 Thanks to your support and our partnership with the Zambian Anglican Council Outreach Program (ZACOP), we are creating an opportunity for children to thrive in their earliest years and well beyond. I saw this first hand when I visited two Early Childhood Development (ECD) centers in Zambia's Copper Belt region. At Fikola Center, I visited a preschool class focusing on basic learning skills; watched babies being weighed to ensure that they were meeting appropriate growth targets; saw a group of community volunteers share what diverse, nutritious dishes they are teaching caregivers to cook; met a mother who, thanks to her participation in a savings group, was growing her businesses to support her family; and met young adults who are planning to build a center, as well as starting home visits—sometimes walking up to one and a half hours each way to visit and share key health, nutrition and nurturing best practices with caregivers for their children. In partnership with ZACOP, we are working in nearly 70 rural communities in Zambia—focusing on the most vulnerable families and children—and have served over 10,000 children to date. Following my trip, I am still struck by this unique partnership: the deep commitment of local volunteers, the skills of ZACOP's staff and our own generous community—all of which make a powerful combination for a lasting impact. The first five years for children are the most crucial in their development. For young people whose futures are threatened by poverty and disease, this investment in their futures truly makes a life-changing difference. There is rigorous science showing that if you can ensure a healthy start for a child from birth and through the age of five, the long-term payoff is tremendous in terms of overall health, intellectual development and productivity. On the other hand, if you miss those first critical years, that child can not catch up and can never become everything that God intended for every child. The work we are doing in Zambia addresses those first years with integrated approaches supporting Early Childhood Development, maternal & child health, hunger alleviation and family livelihood. And as one of our funders shared, we do so through our partnership with ZACOP and the local communties that is both sustainable and scalable. On behalf of all the children, caregivers and families we reach, I thank everyone that participated in this initiative and look forward to our ongoing partnership throughout the year. Betsy Deisroth is the Vice President, Advancement at Episcopal Relief & Development. 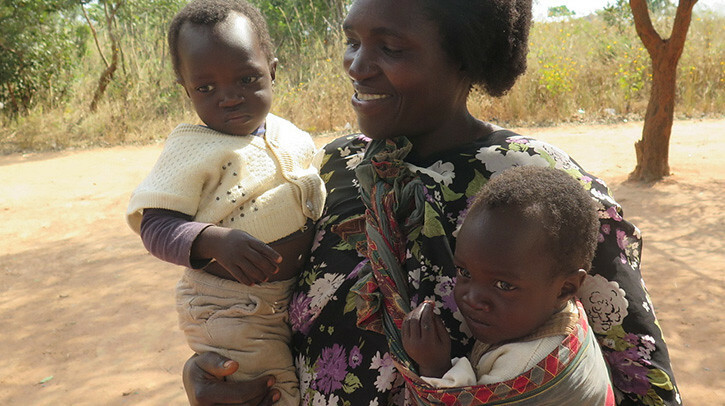 Images: (Top) Mothers and caregivers pose for a photo with their healthy babies; (Middle 1) Students in the Fikola ECD Center; (Middle 2) Granny holds two healthy children outside an ECD center; (Middle 3) Images of children from Zambia, text reads "Thank you." If you didn’t get a chance to support this vital work and would like to, you still can.